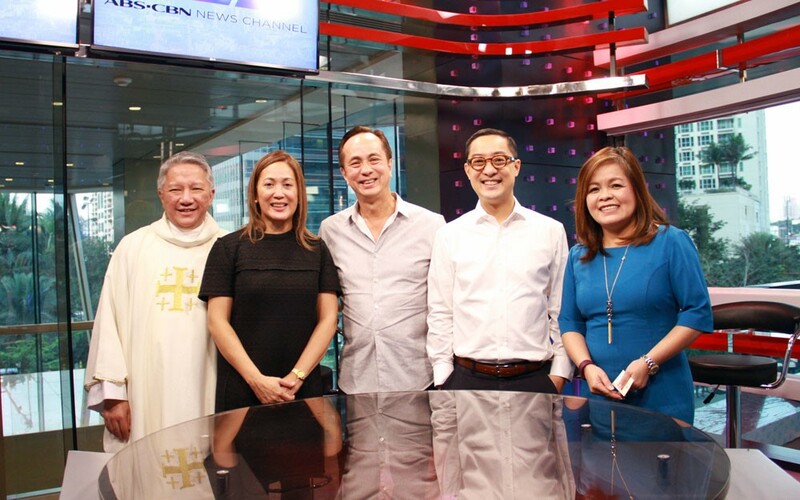 ANC, the ABS-CBN News Channel, is now formally in the heart of the country's central business district with the blessing of its new studio at the Rockwell Center in Makati City last 13 January 2016. ABS-CBN chairman Eugenio Lopez III, ABS-CBN president & CEO Carlo Katigbak, ABS-CBN Integrated News & Current Affairs head Ging Reyes, and ANC Chief Operating Officer Cilette Liboro-Co led the launch of the new state-of-the-art facility, which is currently the base of programs "Mornings@ANC" and "Headstart with Karen Davila," with more shows expected to use the studio soon. Katigbak, said that the studio enhances the gathering and delivery of news by being near the central business district. "This is part of our commitment to stay close to decision makers, the business leaders, the policy makers, and opinion shakers of the community. We want ANC to be the go-to channel for people who want to know what big decisions are going to be made in business or policies in the country,” he said. Reyes added that the new studio is part of the country's first 24-hour global news channel's efforts to remain as the gold standard among news channels in the country. “This studio is an essential component in ANC's commitment to strengthen our business news equity apart from our political coverage. Eventually, the site will be a satellite newsroom and feed point to supplement the main ABS-CBN headquarters in Quezon City,” she said. The new studio is just one of many developments and innovations ANC will be introducing to mark its 20th anniversary this year. The channel recently had its re-launch last October 2015, introducing a new logo and a unified look that highlights ANC's expertise in presenting a wide range of stories from politics, business, and economy to lifestyle and entertainment. It also unveiled a retooled AM morning grid featuring a lineup of shows that still carries ANC's trademark quality news and in-depth analysis but with better form, substance, and visuals. ANC is available in multiple platforms: on local cable TV via SkyCable Channel 27, online at www.anc.abs-cbnnews.com, and in different parts of the world through TFC, the Filipino News Channel. It also has wide social media following on Facebook, Twitter, and Youtube.